Capital Captions partner to provide professional video translation services for a range of different subtitle, caption and video formats. Our prices are highly competitive and our translation service rates are typically calculated on a per word or per video minute basis. We offer urgent translation services with turnaround times as little as 24 hours or less. 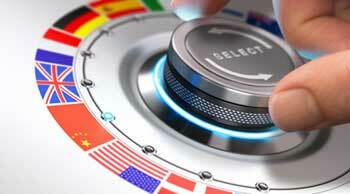 Subtitle translation services for French, German, Italian, Spanish and many more languages. Our foreign transcriptionists and linguists can work on your online and broadcast videos to transcribe and translate into different languages. Using video translation services which include foreign subtitling and closed captioning can be a great way to expand your audience globally. Translations can also boost your search engine optimization for foreign web users and provide accessibility for foreign speakers in your native country.